A new approach to treating schizophrenia and first-episode psychosis has produced some eye-opening results. Dr. Patrick McGorry has made his life’s work finding a wholly different way to approach the problem, shifting the paradigm to early detection and intervention in young people. One key is Dr. McGorry’s success in establishing a new system in his native Australia devoted exclusively to the care for young people with mental health issues, who are welcomed into any of over 110 “headspace” clinics in the country, regardless of whether or not they have a formal diagnosis. Early intervention has resulted in some eye-opening results in Dr. McGorry’s research that have given hope to many. To cite one example, in a trial involving 661 patients with first-episode psychosis, published last September in Social Psychiatry and Psychiatric Epidemiology, Dr. McGorry and colleagues reported that 63 percent reached “symptomatic remission” and 44 percent reached “functional remission.” (The former involves significant moderation or disappearance of symptoms; the latter signifies the ability to function in society, in a job, for instance). This was their status 18 months after receiving treatment for a first episode of psychosis, in centers for youth that Dr. McGorry and colleagues established to deliver this care, which stress a comprehensive approach including social and vocational rehabilitation. In order to detect and intervene early in young people who are at high risk of psychosis, have just had a first episode of psychosis, or have begun to experience symptoms associated with schizophrenia, there needs to be a system of care that is ready to receive them, and that young people know about and are not afraid to access. 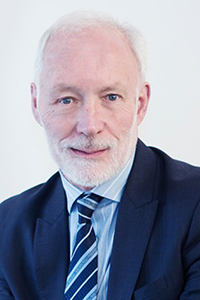 In a nutshell, this has been the focus of Dr. McGorry’s work and a cause he has been laser-focused on since the 1980s, and his efforts and political acumen have resulted in the creation in his native Australia of a system of mental health care geared to young people that might be considered revolutionary. He and his colleagues decided to focus on first-episode psychosis patients. Since psychosis occurs in several illness (including bipolar disorder and depression, although in a much smaller fraction of cases than in schizophrenia) this meant the focus was on “the psychotic break,” but not the specific diagnosis of the individual. This would be an important aspect of the model that would emerge from his experimental treatment program. “We noticed three things pretty quickly,” Dr. McGorry recalls. “First, our first-episode patients were young – teenagers or young adults, in the majority of cases. Second, they had long delays in getting treatment. It was usually something like a suicide attempt or an aggressive incident or some other kind of crisis that propelled them into treatment – often under traumatic and draconian circumstances, with police and handcuffs, coercive measures, involuntary treatment. The new approach began with a decision “to try to limit the harm by using very low doses of medication,” but was accompanied by efforts to address the developmental and family needs of patients, “which were quite different from the needs of middle-aged chronic patients” receiving care in the hospital, he says. At this early stage, the program was being run in a part of Royal Park Hospital, a chronic-care mental hospital in Melbourne. “But after a while we realized we needed to be based in the community, and using the hospital as a kind of backup system, rather than the other way around,” Dr. McGorry says. The result of moving into the community, to treat young people where they lived, led to the development of a program called EPICC, which was extensively described in papers published by McGorry and colleagues in the 1990s. A major success that has been adopted in other nations in the intervening years, EPICC begins with the premise that psychosis causes acute distress in young people experiencing it for the first time, as well as among their family and friends, and that this distress needs to be attended to. In retrospect, Dr. McGorry says, “what we have been trying to do is apply principles established in the care of heart disease and cancer, to psychiatry. Once we ‘found’ our patients, we didn’t discard them after initial treatments. Can you imagine doing that in cancer? With cancer, there’s a premium on early diagnosis; then you treat the patient as consistently and intensively as you can, or as is necessary, according to disease stage, until the patient gets better or dies. That has saved a lot of lives. It’s also lengthened the lives of many people who would have died more quickly. In other words, cancer treatment is disease-modifying. Whereas, in the way that serious psychiatric illness is treated, there is often revolving-door neglect.” Patients who lack insurance or the means to get first-rate care must access the public health system, where typically they “are patched up, episode to episode, but they are not maintained,” he said. This situation, acknowledges Dr. McGorry, has a great deal to do with the failure of governments to effectively replace chronic long-term care in psychiatric hospitals with an effective community mental health system. Australia had very poor resources with which to deal with the psychiatric problems of the general population, and nothing that was geared to find and treat people in their late adolescence and early adulthood, the time in life when so many mental illnesses begin to manifest. He has since received backing from various sectors, including Australia’s national government, to establish youth mental health centers nationwide. There are now over 110 such centers – called “headspace” clinics – and more are on the way. There is no publicly backed equivalent in the United States, although various localities in the U.S. and Europe have invited Dr. McGorry to help them design systems along the lines of the headspace centers he has established back home.